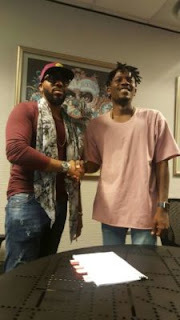 Tinny Entertainment rapper, Ycee created a big scene on the internet by calling out the head of Sony Music Africa, Mr Michael Ugwu, accusing the Sony official of ‘milking’ him and reaping off his hardwork and sweat. Using series of tweets, the rapper poured out his frustration at the deal he had earlier signed with the music company and he warned other artistes to take cue from his situation and avoid dealing with the devil. 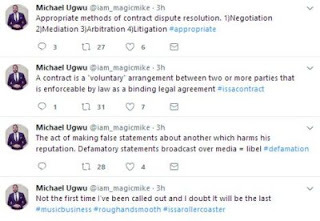 However, the accused music business professional and GM of Sony Music Africa, Mr Michael Ugwu has responded to the rapper’s ‘libelous’ claims. 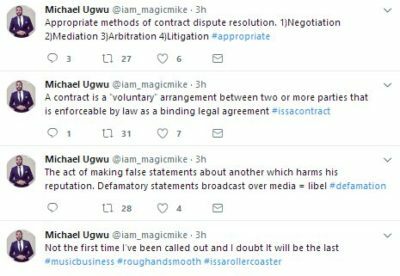 Using the same medium as the rapper, Mr Michael Ugwu made an attempt to absolve himself from the blame.